Tech giant and world’s biggest retailer, Amazon.com Inc. is facing the wrath of the European Union (EU) and its anti-trust body, the European Commission (EC) for not paying applicable taxes. As a result, the EC has ordered Amazon’s European home base of Luxembourg to recoup €250 million ($294 million) from the tech giant in back taxes, saying the U.S. e-commerce giant has received illegal state aid. In an investigation carried out by the European Commission on the Luxemburg subsidiary of Amazon, the company is said to have been tax minimizing since its launch in 2003 by transfer pricing; where one branch of the company will charge another branch for products or services. This in turn created the knock-off effect making Amazon’s corporate tax among the lowest in the country. The EU’s antitrust body specifically said Wednesday that Luxembourg had granted Amazon undue tax benefits that allowed the company to pay substantially less tax than other businesses. “As a result, almost three quarters of Amazon’s profits were not taxed. In other words, Amazon was allowed to pay four times less tax than other local companies subject to the same national tax rules,” said Margrethe Vestager, the EU’s competition commissioner. “This is illegal under EU state aid rules. Member states cannot give selective tax benefits to multinational groups that are not available to others,” she said. Amazon shares were down 0.6 percent in premarket trade. However, the company said in a statement it believes it did not receive any special treatment in Luxembourg and that it paid taxes in full accordance with both Luxembourg and international law. “We will study the Commission’s ruling and consider our legal options, including an appeal. Our 50,000 employees across Europe remain heads-down focused on serving our customers and the hundreds of thousands of small businesses who work with us,” the statement said. 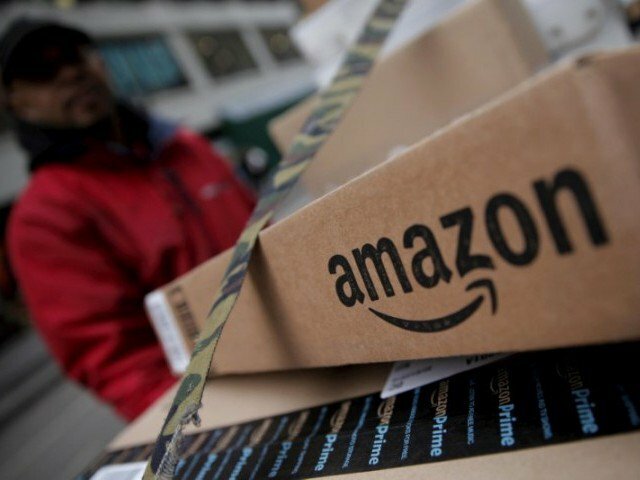 The Amazon ruling on Wednesday was widely expected and comes amid a renewed crackdown by the EU to scrutinize tax arrangements between its member states and big multinationals operating in Europe. Luxembourg’s tax practices have been in the spotlight after leaked documents revealed favorable deals granted to companies such as FedEx Corp. and PepsiCo. Inc.
Vestager’s team is also investigating McDonald’s Corp.’s tax affairs in Luxembourg, with a ruling expected in coming weeks, according to Bloomberg. Last August, the commission ordered Apple Inc. to repay Ireland €13 billion in uncollected taxes. Both Ireland and Apple have contested the ruling. In relation to that case, the EU on Wednesday said it had referred Ireland to the European Court of Justice for failing to recover the alleged illegal state aid from Apple. The deadline for Dublin to recover the money from Apple was Jan. 3, 2017, but the commission said Ireland had not retrieved any of the back taxes. “Until the illegal aid is recovered, the company in question continues to benefit from an illegal advantage, which is why recovery must happen as quickly as possible,” the antitrust body said in a statement. “Furthermore, although Ireland has made progress on the calculation of the exact amount of the illegal aid granted to Apple, it is only planning to conclude this work by March 2018 at the earliest,” it added. Apple shares were down 0.1 percent in Wednesday’s premarket trade. According to the EU, it is targeting what is believes to be unfair tax practices that give a selective advantage to some companies to attract business and the jobs attached. Competition watchdogs are also weighing a more general crackdown on special tax deals that EU countries offer big corporations.